Going off piste – Who bears the cost of design changes? When a contractor enters into a fixed price contract with an employer, it will be bearing the risk of increasing costs on the project. The fixed price will have been based on a number of factors, not least a design specification. But what happens when the design consultant decides to go ‘off piste’, and enhances the specification, after the contractor has agreed the fixed price? Who will bear the increased costs then? It will not be the employer, because it is a fixed price contract. So who will it be? 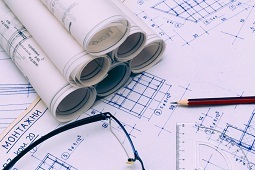 The answer depends on the terms of the contract between the contractor and the design consultant, as is well demonstrated in a recent Technology and Construction Court (TCC) case*. In this case, MW (the contractor) had entered into a contract with Biffa (the employer) for the design and construction of a waste treatment plant in West Sussex. The contract sum was fixed at just under £100 million. The contractor had based its tender for the project on a design proposal produced by Haase Environmental (the design consultant). The design consultant had produced the design proposal under a letter of intent with the contractor. Once the contractor had entered into the main contract with the employer, it then formally appointed the design consultant. However, within 12 days of entering into the appointment, the contractor found that the design consultant was proposing design enhancements which substantially increased the costs of the project. These costs amounted to millions of pounds. obtain consent from the contractor for any changes or enhancements. On the other hand, the design consultant argued that its overriding duty was to comply with its obligation to exercise all the reasonable, skill, care and diligence to be expected of a design consultant. As long as it had done that, it could enhance the design without being in breach of contract. The TCC did not buy into the design consultant’s argument. Whilst it agreed that the starting point of a design consultant’s obligations is to exercise reasonable skill and care, the design consultant still has to comply with its other obligations. The design consultant was in breach of its obligations to obtain the contractor’s consent for changes, and was in breach of its obligation to comply with the design proposal. As such, it was in breach of contract, and should therefore bear the liability for the increased costs. The TCC’s decision is a sensible one. It is common for consultants to be under an obligation to exercise reasonable skill and care, as well as being obliged to comply with certain specific documents or requirements. It would not make commercial sense for a consultant to be able to escape liability for its failure to comply with the contract documents or requirements, simply because it could show that it had exercised reasonable skill and care in carrying out the work.